Jakośc wykonania na najwyższym poziomie, pełny osprzęt do uruchmienia drukarki, montaż bezproblemowy, pozdrawiam!! 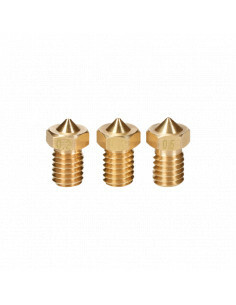 Titanium nozzle for E3D V6 0,4 mm 1,75 mm - substitute made of titanium alloy: Ti-6Al-4V (TC4). This alloy is widely used in biomechanics, surgeries, chemistry, aviation and in the "heavy duty" industry, and now appears in 3D printer nozzles family. Nozzle for the E3D V6 type hot end: 0.5 mm 1.75 mm. 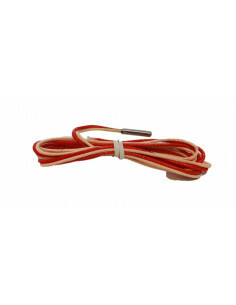 Temperature sensor PT100 (up to 420 ° C), for use in motherboards with RTD. FIBERLOGY Nylon PA12 1,75mm 0,75kg - black it's a material which thanks to its temperature resistance, alcohol and chemicals is particularly useful for mechanical and technical applications. It is extremely durable, strong and unbreakable. 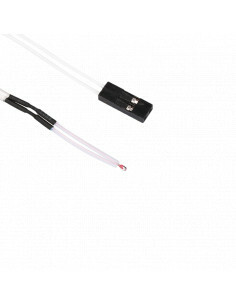 Glass thermistor with 1M cable with Dupont socket. 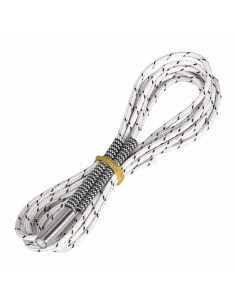 Hotend 24 V 50W and with 2m cable, very good quality ceramic heater 50W for 24V power supply. Hotend J-HEAD is complete J-HEAD clone of E3D V6, this version is called "LONG". 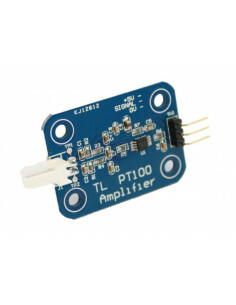 Stepstick TMC2130 - stepper motor driver is based on the Trinamic TMC2130 system, this stepstick is compatible with pins from A4988, DRV8825, LV8729.